MAD has recently completed Phase 1 of the “Setting the Stage” campaign by expanding the entry plaza with a new Dining Terrace as well as redesigning and expanding the surrounding Artistic Support building. New volumes are introduced with expanded program, and the architecture sensitively follows the aesthetic of the Crosby Theatre. A new grey wall plane delineates the new spaces while unifying the upper and lower levels of the Terrace along the landscaped context of the entry. New wood clad concession areas were designed to fit into sloped site conditions at the periphery of the Theatre. The public amenities are greatly improved with new restroom facilities and additional plaza gathering areas. At the rear of the Opera house, the dressing rooms/costume shop facilities were increased by over 11,000sf on three levels. 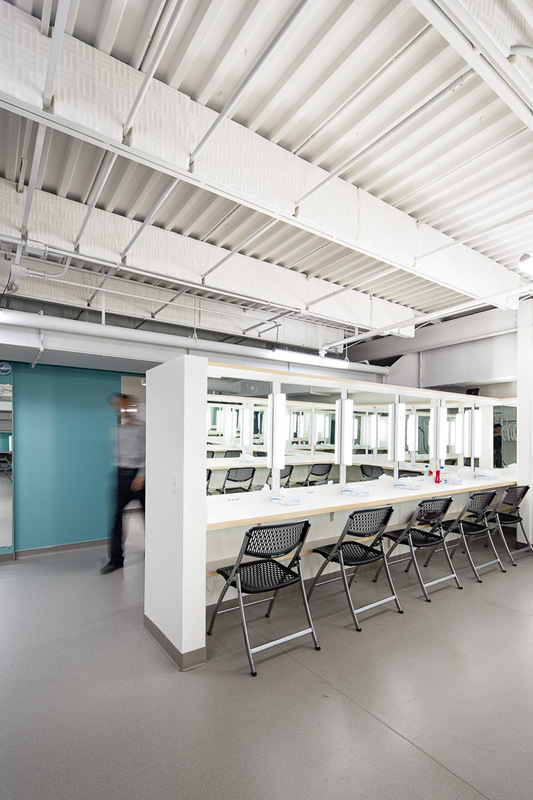 Music practice rooms and a series of highly technical support spaces efficiently connect “back of house” activities with the widened stage wing and new lift.